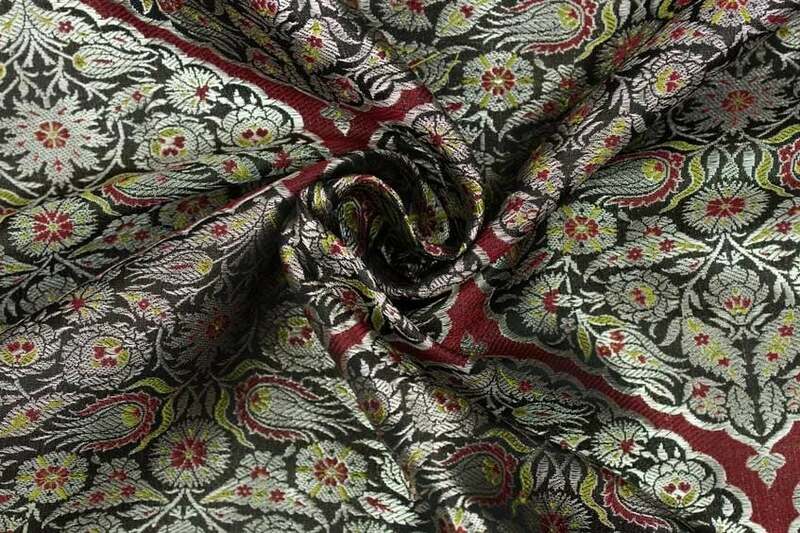 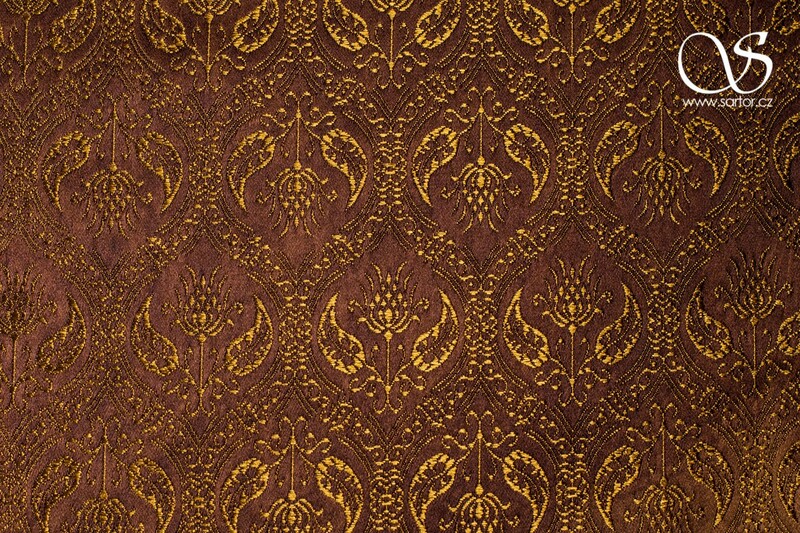 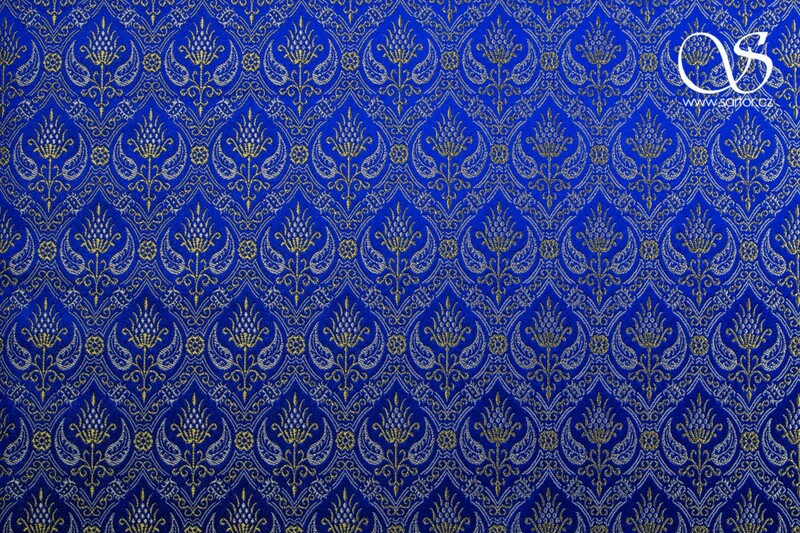 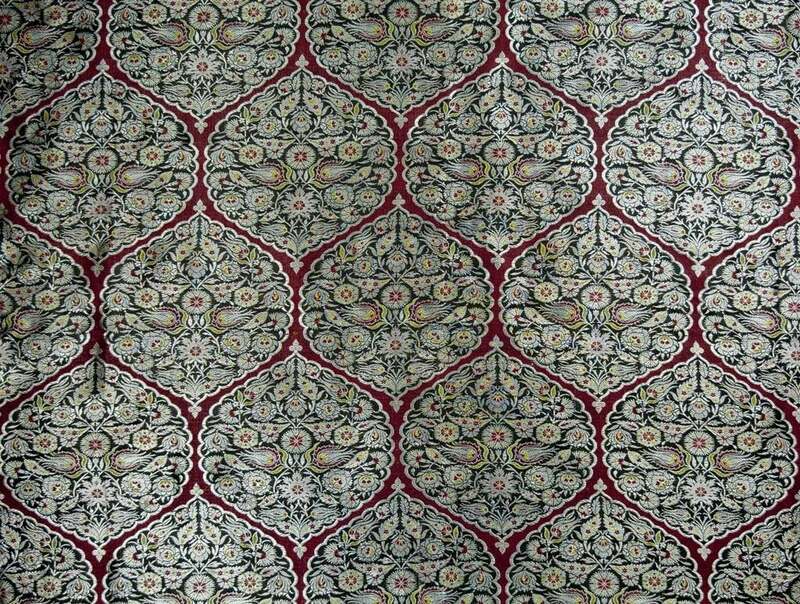 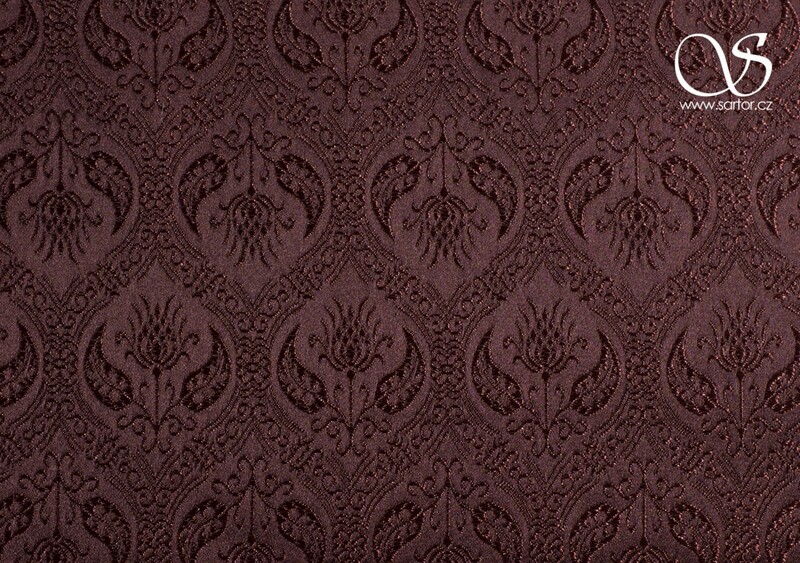 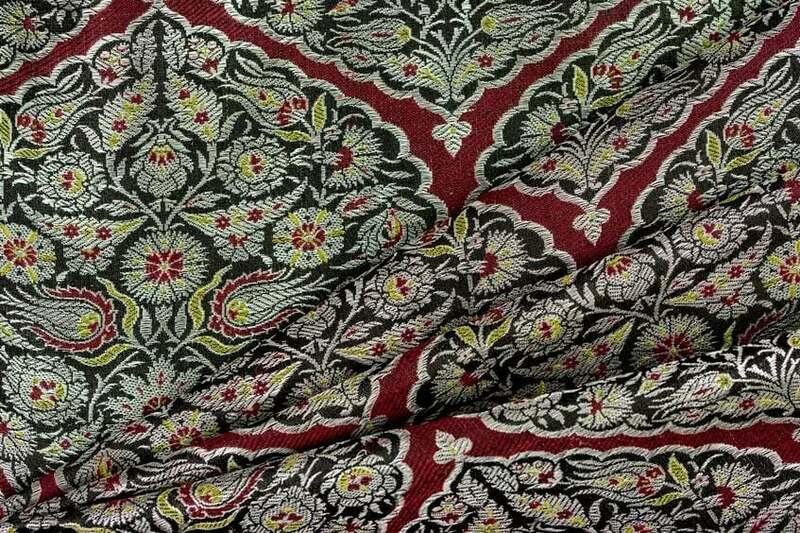 Our reconstruction of a Turkish silk from the 16th century woven in the area of the Ottoman empire. 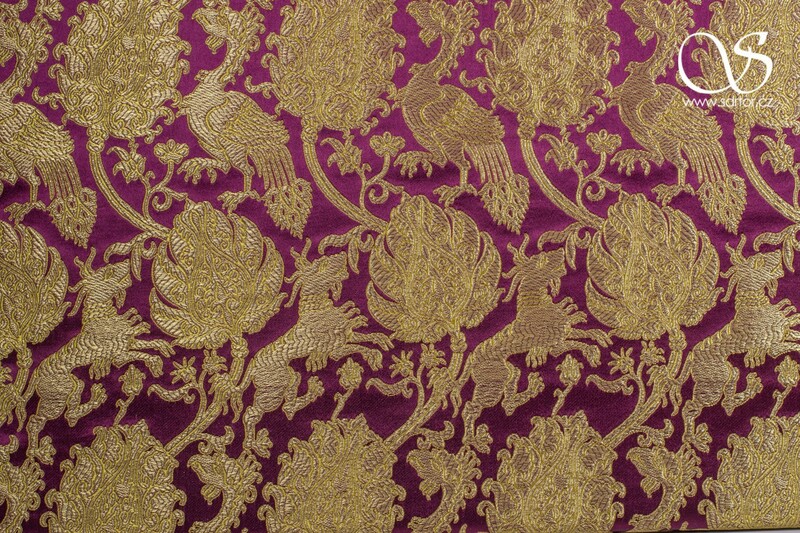 This textile was made into a long splendid kaftan, which is a long coat, usually reaching to ankles, and with long sleeves. 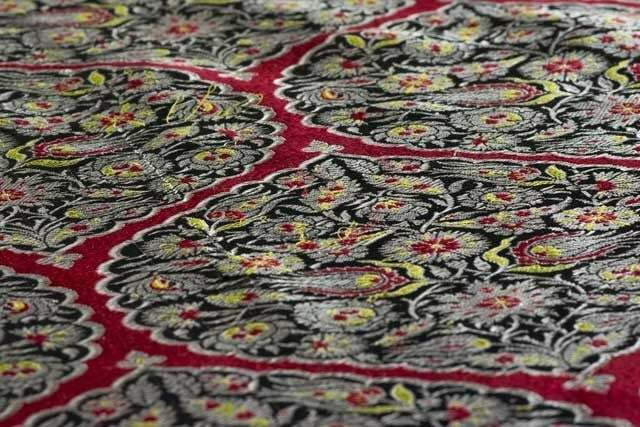 Kaftans were worn by sultans, their families and nobility. 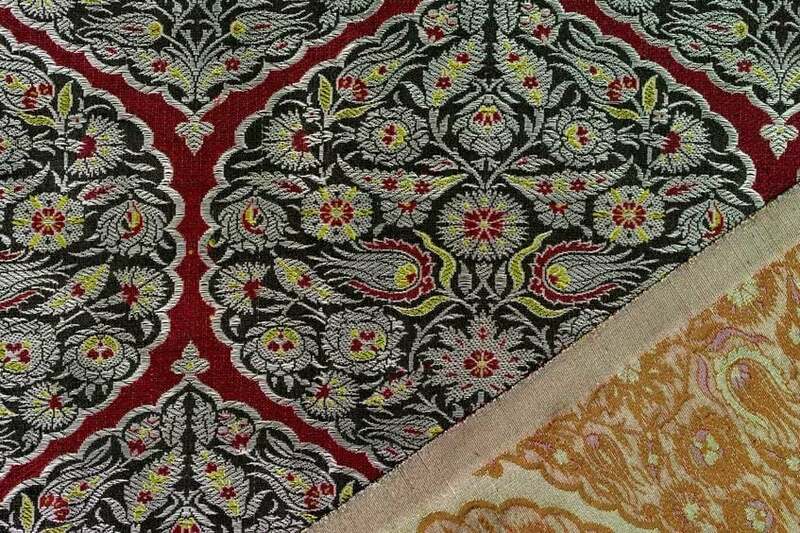 The colors and patterns indicated the rank of the person to whom they were presented. 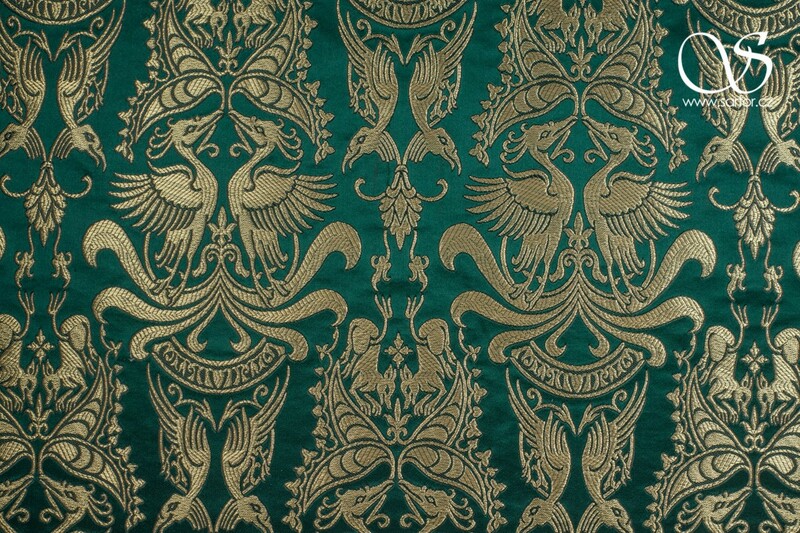 In the pointed medallions, which are bounded by red color, there are yellow-green vine leaves with red blossoms on a black background. 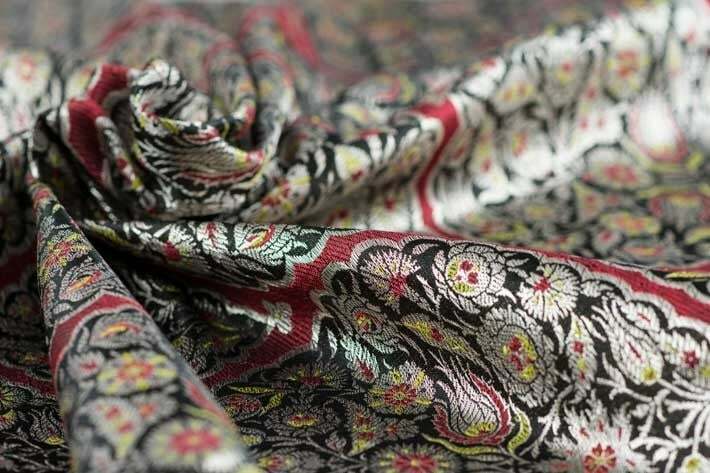 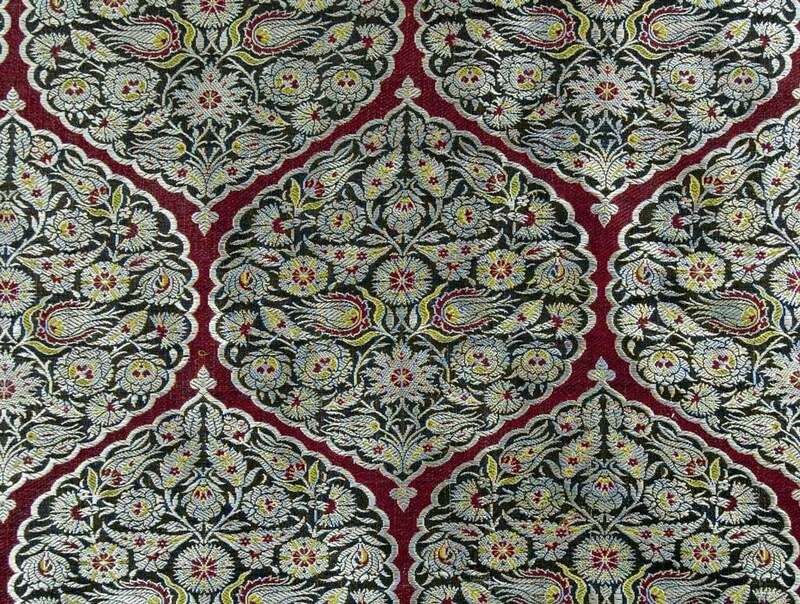 Floral and foliate decoration were favourite Ottoman patterns during its peak of silk textile production in the second half of the 16th century. 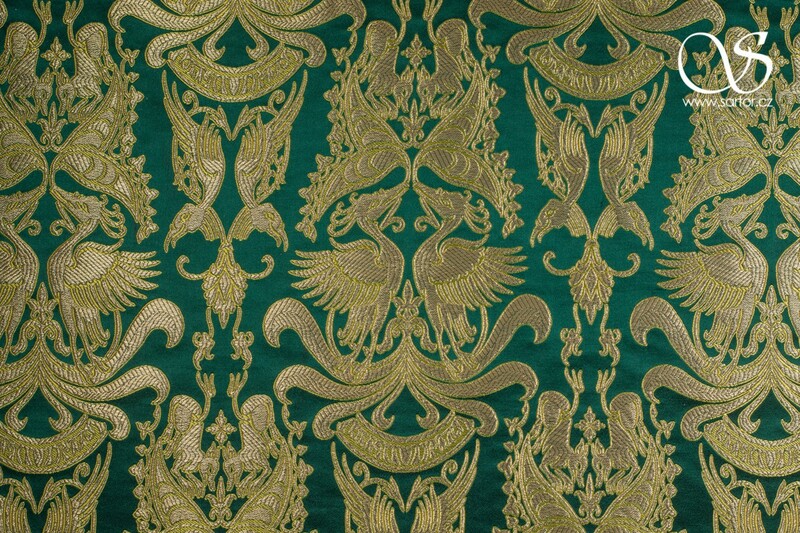 The original kaftan as well as many others imperial kaftans with related patterns are preserved in the Topkapi Palace Museum in Istanbul. 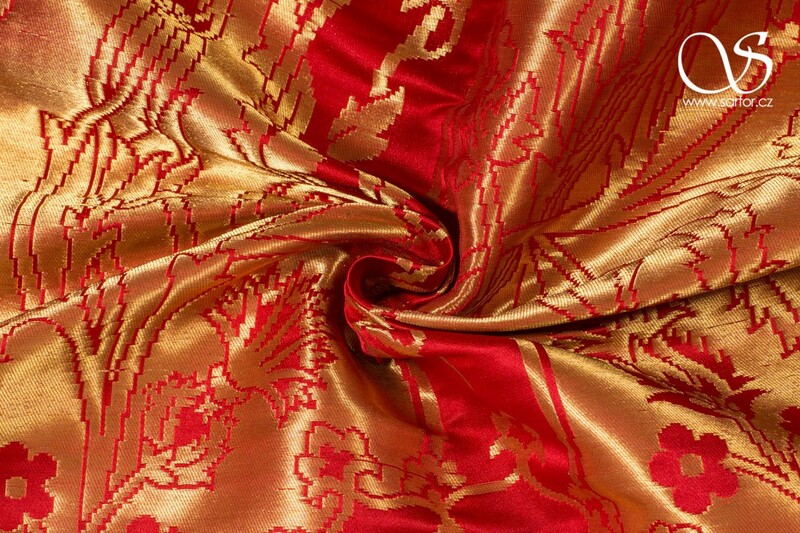 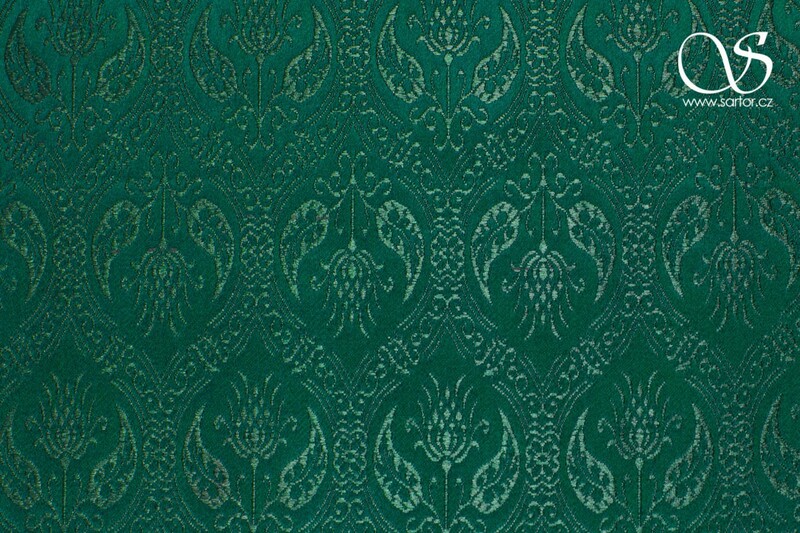 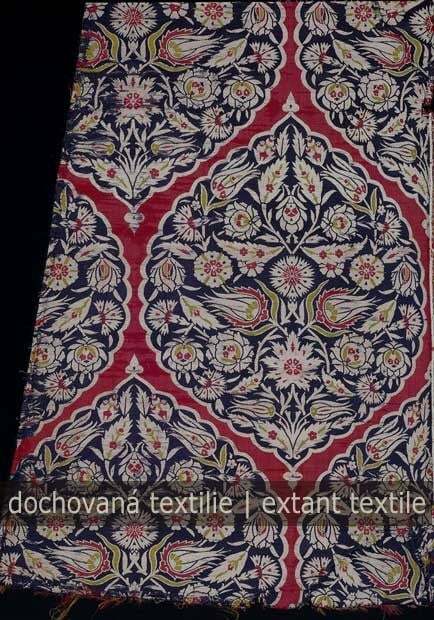 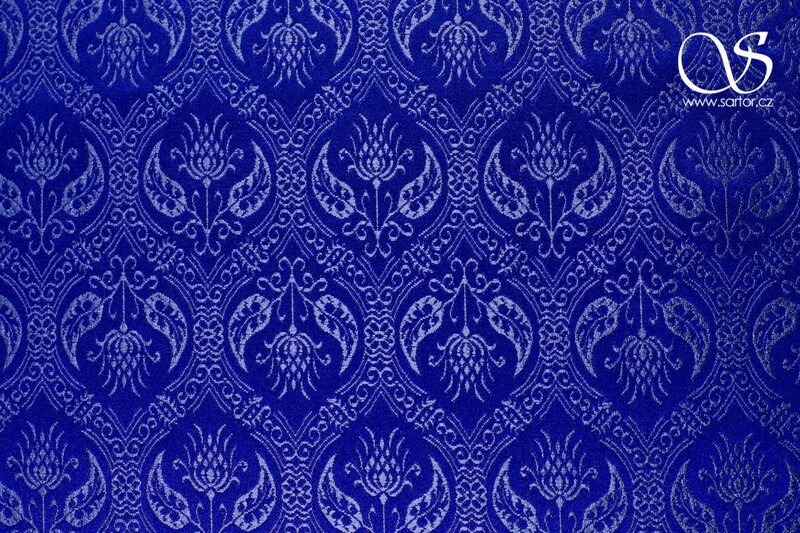 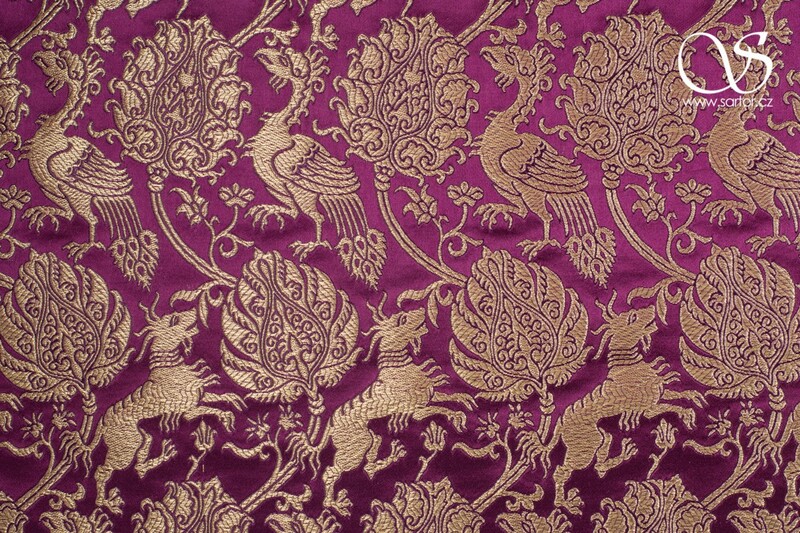 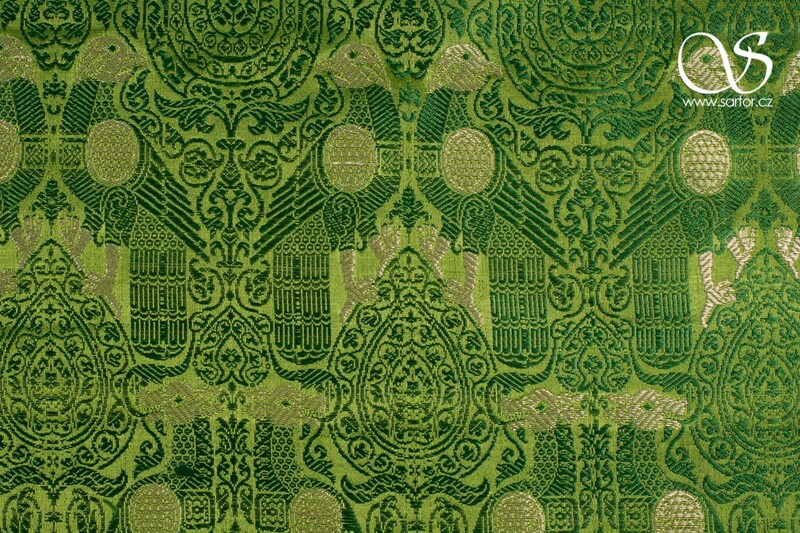 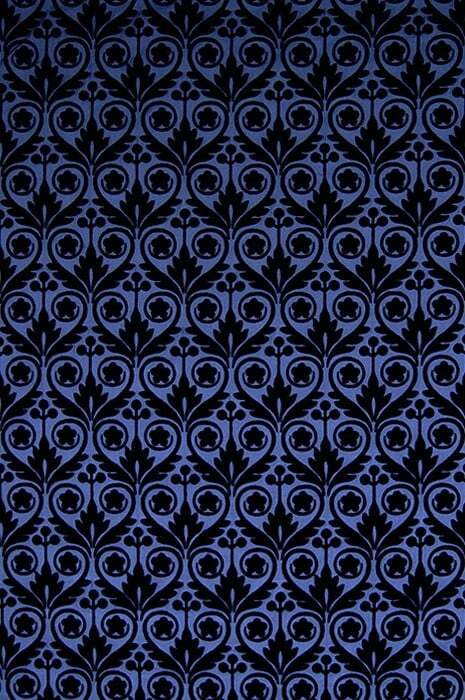 The same textile is also preserved in Cleveland Museum of Art and in Museum of Fine Arts Boston.